You are here: Home / Search for "Outstanding Leadership Award"
The United States Distance Learning Association, the nation’s premier distance learning association since 1987 presents its International Distance Learning Awards Program, the premier awards for the distance learning industry. The USDLA International Distance Learning Awards are created to acknowledge major accomplishments in distance learning and to highlight those distance learning instructors, programs, and professionals who have achieved and demonstrated extraordinary achievements through the use of online, videoconferencing, and satellite/video delivery technologies globally. 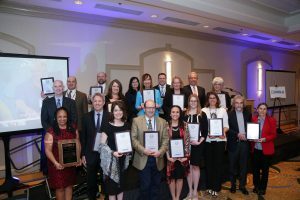 The USDLA International Distance Learning Awards are presented to five major sectors of distance learning, education and training to include the Pre-K – 12, Higher Education, Corporate, Government and Telehealth markets. The USDLA International Awards will be presented at the USDLA International Awards Ceremony, scheduled for Wednesday, May 22, 2019 during the USDLA National Conference being held in Nashville, Tennessee, USA. This award is given to an agency, institution, or company that has shown outstanding leadership in the field of distance learning. The award recognizes pioneering organizations in the field that have changed distance learning, challenged existing practice, or developed new and effective solutions. Individual leaders must be recognized for a level of performance that excels in their organization, reaching out through mentoring, sharing, and collaboration. These leaders are also active in the field of distance learning through professional affiliation and external collaboration. The award is given to an organization, an individual, a project, an initiative, a disruptive technology, or a unique pedagogy. The award nomination exhibits innovative approaches to the delivery of distance learning. One award is given each year in each USDLA constituency: K12, Higher education, Corporate training, Telehealth, and Military/Government. The Excellence in Distance Learning Teaching/Training awards are given to an outstanding individual or team of individuals whose teaching demonstrates extraordinary achievements. The teaching or training must demonstrate effective learning facilitated through technology with measurable outcomes. One award is offered each year for each USDLA constituency: K12, Higher education, Corporate training, Telehealth, and Military/Government. This award is given to honor outstanding projects featuring significant impact, reach, and understanding of diverse cultures, originating either in the U.S. or internationally; and extending across two or more organizations. This award is given to a student who has exhibited leadership and creativity in using distance learning technologies. Is there a space limitation for submissions in terms of number of pages or word count? NO page limits…just make sure to hit/answer the criteria and provide evidence, etc. Is there a specific format in which the nominator’s content should be arranged? For example, is it up to the submitter to organize the material in the best way that reflects the judging attributes? Submit a nomination overview. Write a narrative that summarizes the project, program, person, etc. Include a paragraph for each rubric criteria explaining how this nomination meets that criteria and referencing each evidence document that supports the criteria. You can upload unlimited evidence files. The file name for each evidence document should represent which criteria the evidence accompanies. All files must be uploaded into the reviewer site. No website submissions are accepted. Any evidence not already in an electronic format may be scanned and submitted as a PDF. When will award winners be notified? By week of March 4th, 2019, USDLA will notify winners and non-winners by phone and/ or e-mail with follow-up letters. How secure will my material be? All entries and related courses, material and content are kept confidential for judging purposes only. Can I submit an award on behalf of my client? Yes, you can submit a nomination on behalf of your client. Please note that for US government entries, you may have to consult your legal team regarding legal gift restrictions. Is there a limit to the number of submissions an organization can submit? Can I load screen shots of my website, module? Yes, you can load them in the award system as an example or insert them in your narrative to demonstrate or showcase certain features you want the judges to view. What is the absolute latest time I can submit my award? You should submit all award submission midnight (ET) by January 25, 2019. Award window is currently closed. What is the cost and is it per award? Yes, the fees are per each entry. You can make your payment here. Can I mail additional material or copies of my submission(s) to USDLA for consideration? NO submission(s) will be accepted via mail. All entries and related material must be submitted online via the awards website. The USDLA International Awards will be presented at the USDLA International Awards Ceremony, scheduled for Monday, May 1, 2017 during the USDLA National Conference being held in Indianapolis, Indiana, USA. This award is given to honor outstanding projects featuring global impact, reach, and understanding of diverse cultures, originating either in the U.S. or internationally. Email info@usdla.org or call 1.617.399.1770. By March 31, 2017, USDLA will notify winners and non-winners by phone and/ or e-mail with follow-up letters. You should submit all award submission midnight (ET) by January 12, 2018. Yes, the fees are per each entry. The United States Distance Learning Association (USDLA) presented its 2017 International Distance Learning Awards in conjunction with the 2017 National Conference in Indianapolis, Indiana. USDLA is a 501(c) 3 non-profit association, founded in 1987, as the nation’s leading distance learning organization. The association reaches 20,000 people globally with sponsors and members operating in and influencing 46% of the $913 billion dollar U.S. education and training market. “This year’s USDLA Award recipients represent the finest examples of online courses, best practices, and leadership in our field. The depth and breadth of the USDLA membership allows us to engage with leaders from higher education, K-12, industry, military, and government who daily demonstrate the power of distance learning. We are so proud and excited to be able to recognize this level of excellence,” said Mr. Ken Conn, President of USDLA. 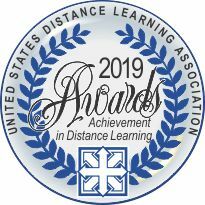 The United States Distance Learning Association, the nation’s premier distance learning association since 1987 presents its NEWLY REVISED International Distance Learning Awards Program, the premier awards for the distance learning industry. The Excellence in Distance Learning Teaching/Training awards are given to outstanding individuals whose teaching demonstrates extraordinary achievements. The teaching or training must demonstrate effective learning facilitated through technology with measurable outcomes. 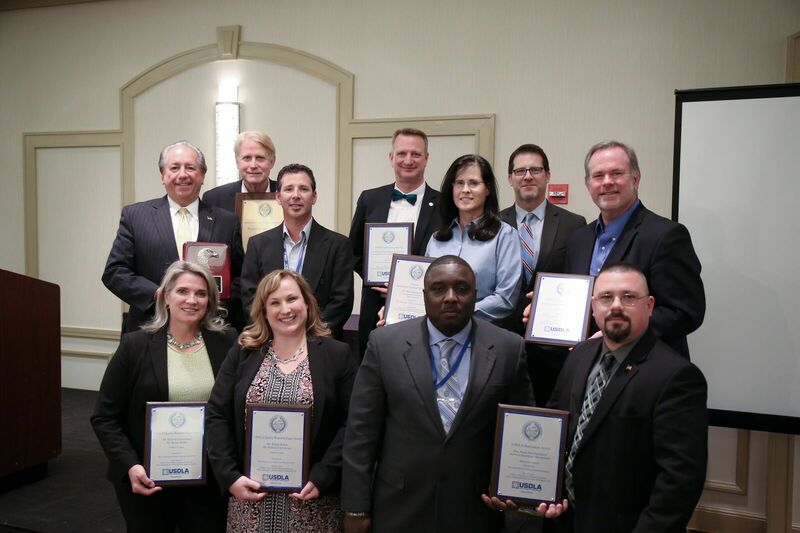 One award is offered each year for each USDLA constituency: K12, Higher education, Corporate training, Telehealth, and Military/Government. Email rsmith@usdla.org or Call 1.617.399.1770. NO real page limits…just make sure to hit/answer the criteria and provide evidence, etc. You should submit all award submission midnight (ET) on February 28, 2017.